We all have walked into those stores named Vintage This or Vintage That. Along with some nice antiques and unique accessories, you always find the “upcycled,” “reclaimed,” or “re- loved” dresser … which has simply been cleaned up with a new coat of yellow paint. While I agree there is a time and place for updating by painting, it is important for you, as an interior designer, to know there are more repurposing options – many with more creative, long-lasting, and meaningful results – than a typical paintbrush makeover. 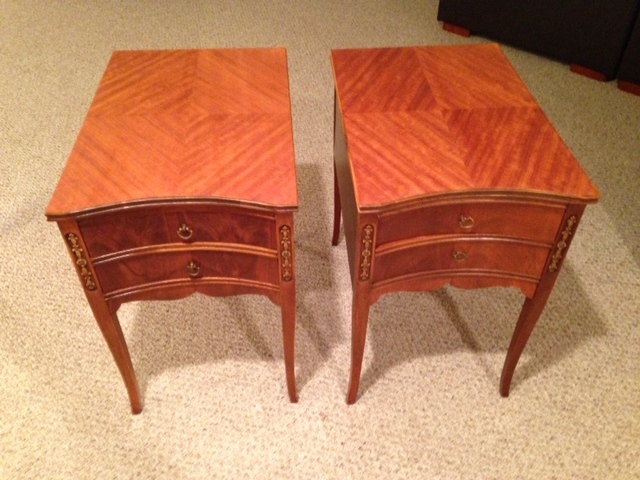 These end tables were originally purchased by my client’s mother when she decorated her first house. The owner had literally grown up and lived with these pieces her whole life. They were one of her fondest memories of her now late mom. Over the years, the tops saw damage from water and everyday use. After completely sanding off the old veneer and patching the dings, I applied a new four-way book match of figured mahogany. The owner was estactic to have her old tables back – and even better than new. 2. 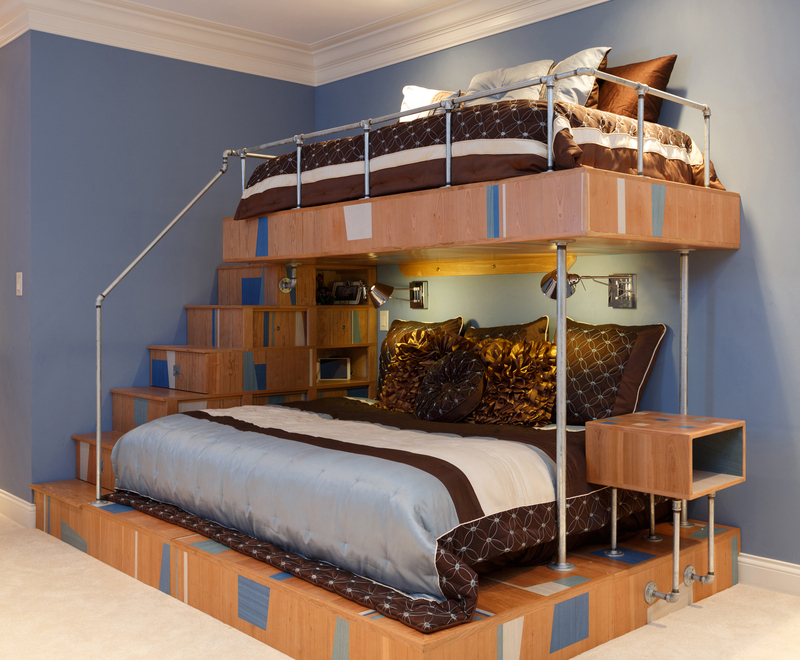 After I worked with an interior designer to make her client a custom, multilevel bed with stairs, drawers, and other fun features tailored to a teenage girl, the existing chest of drawers no longer fit the room’s décor. The designer knew she couldn’t go to a furniture store and purchase an off-the- shelf dresser that would match the bed’s blue-and-silver color block inlays. In addition, the dresser now had a new function: It needed to comfortably store clothes as well as serve as a stand for the TV and cable box. So, the designer asked me to transform the original chest of drawers. 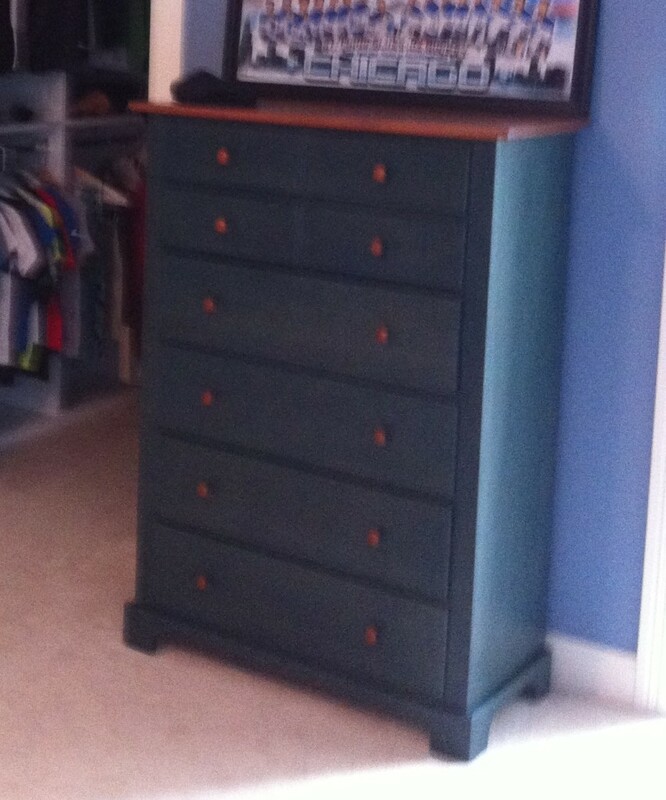 After removing the green paint, I cut off the top two drawers to allow room for the TV and cable box. 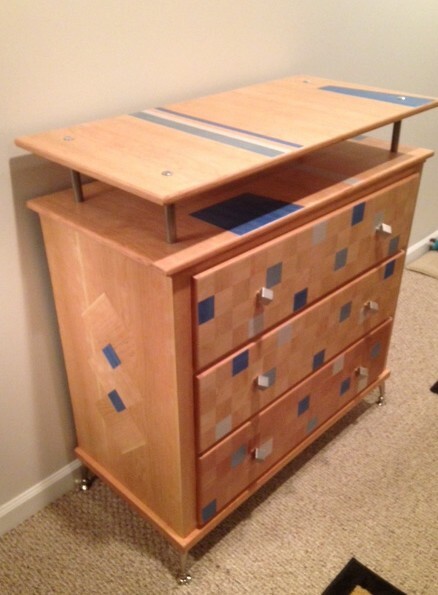 Then, I applied a veneer patterned and styled to match the new bed, and added new feet and funky drawer pulls. The result was a custom piece that coordinated perfectly with the bed and cost much less than buying or making a new dresser. makeover. This mirror fit perfectly in a client’s house for 15 years … until the family relocated and decided to introduce a fresh décor to their new house – on a budget. Rather than buy a new mirror, we worked together to design a completely new look for the frame. We were inspired by the bright-colored bedding she had selected for the guest bedroom and a few magazine photos of other mirrors. From there, I drew up a sketch and started the transformation. 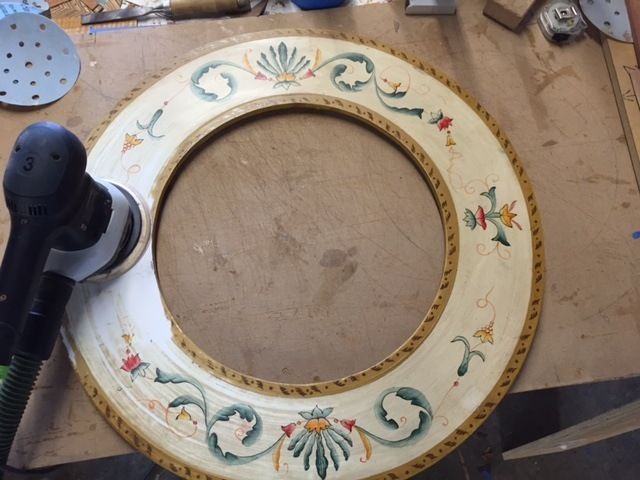 I simply removed the mirror from the frame, sanded off the existing paint, and applied a new pattern made from dyed wood. 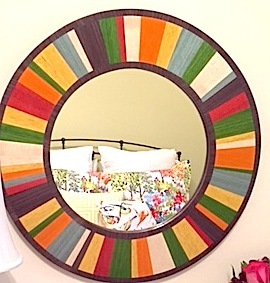 The result was a custom-yet-economical mirror that coordinated perfectly with her guestroom. When selecting furniture, most people first think about style, size, color, and functionality. It’s natural. But as a passionate furniture builder, I can tell you there’s more to finding the perfect piece. When choosing just the right piece for just the right spot, you also need to think about the finish that is applied to the wood. Where will this piece go? Inside, outside, humid area, dry, etc. What is the final use for this piece? Dining table, chair, desk, etc. Does the client want a glossy or matte look? How involved is the application process? There are two basic types of wood finishes: Those that form a film or coating on the wood, and those that penetrate the wood surface. Film finishes, which cure hard and can be built up in layers, include varnish, shellac, lacquer, water- and latex-based semitransparent stains, and solid-color stains. These finishes are good for end tables, bedroom furniture, bookcases, etc. where some protection is required. Penetrating finishes are oil-based and don’t cure to a hard film. These include oil finishes, such as tung and linseed oil, and oil-based stains. These finishes are great for items like chairs that don’t get the wear and tear a table might endure. But, what if you want the qualities of both types of finishes? Not to fear. There are finishes that combine the penetrating beauty of oil and the protective strength of film finish like varnish. One example of this type of finish is Waterlox. It is made mainly from a mix of tung oil, mineral spirits, and varnish (phenolic resin). This clear finish is great for wood floors and dining tables alike because of the strength provided by the phenolic resin. 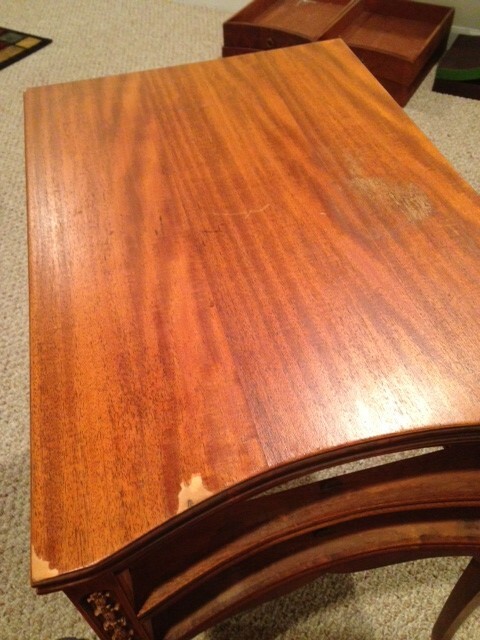 Bottom line: It is worth your time to ask about your furniture’s finish. The answer is often unclear with a mass-manufactured piece. However, knowing your furniture’s finish has been thoughtfully selected and applied based on your individual circumstances is yet another benefit of working with a custom furniture maker. It ensure the beauty of your investment will be protected for years to come. What is veneer artistry? How do you do it? What are the benefits of this method? These are three questions I receive nearly daily, so I thought I would address them openly here. First, most veneers are real wood that has been sliced to a “thickness” of just 1/40 of an inch, see photo below, which means veneers are eco-friendly. Why? One solid wood tabletop often requires multiple board feet of a precious resource: trees. That same tabletop can be constructed with veneers and use only a small fraction of the same tree because it is so thin. Fewer trees harvested means a better environment for our future. Second, a veneered table top has great stability. Solid wood construction usually consists of joining multiple boards together with glue to reach the required dimension. This assembly can inherently lead to problems. 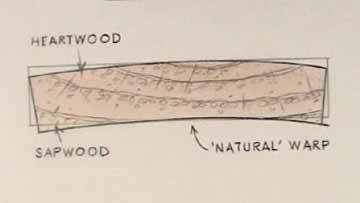 Wood expands and contracts based on temperature and environment. The bigger the pieces, the bigger the movement. In contrast, when veneering, thin slices of veneer are glued to a substrate material, such as plywood or medium density fiberboard (MDF). Plywood is strong, rigid, durable and lightweight. (Not to mention, most plywood is made from sustainable forests and has environmentally friendly adhesives.) Most veneer artists use a process called “vacuum clamping” to adhere the veneer to the substrate. 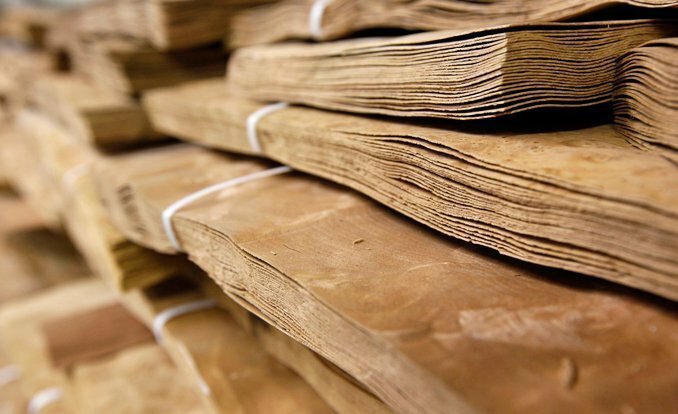 By sucking out the air during the adhesion with nearly 2,000 pounds of weight per square inch, any open wood pores are filled with glue, forming what is called an “optimum bond.” Hence, the stability – and enduring reliability – of a veneered piece. Next, creativity is a benefit of veneer artistry. While it is possible to make some patterns from solid wood, it is limited because of the grain patterns and considerations to accommodate wood movement. 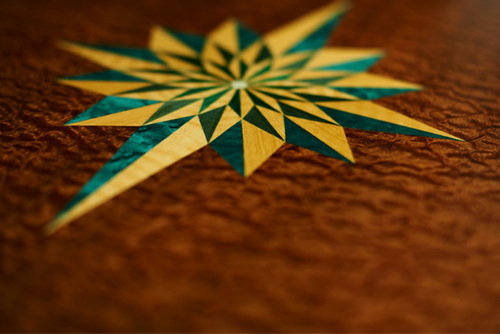 With veneer, there are no restrictions on wood patterns or shapes – and even colors, using predyed veneers. Most of the expensive, heirloom-quality furniture pieces in the world (Chippendale, Hepplewhite and Biedermeier) use veneer and inlays to create their elegant appearance. Finally, the use of veneers also opens up the use of the more exotic woods because it is cost-effective. Furniture made of solid woods like bolivian rosewood, ebony and others are too costly for the average consumer. But using thin veneers cut from these trees, it greatly reduces the cost of a piece and allows for more people to enjoy them. Bottom line: I hope you can see by this explanation that veneer artistry offers beauty, durability, sustainability and affordability that cannot be found in other custom furniture making approaches.